Summer time – BBQ time. Regardless of whether your barbecue is the centerpiece of you outdoor living area, or just simply something to sizzle a juicy peace of steak and grill some sausages on, Grasslands has the right model to suit your budget and lifestyle. Be part of the Kiwi way with one of these feature packed barbecues. 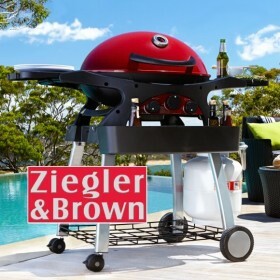 See the exciting new Ziegler & Brown series of domed hooded BBQ’s that out perform the competition. Change the way you cook outdoors with your new Ziggy!